The demand for skilled tradesman isn’t going away. Tradesmen and tradeswomen are in high demand. It is important to understand your options and what is the right choice for you. Our hope is that our “Ask the Tradesman” blog series can help. 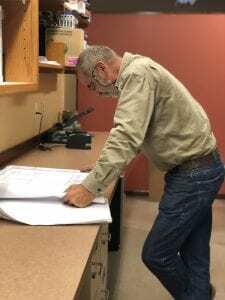 This month we had the opportunity to talk to our very own Bill Barsness, Field Superintendent here at Northfield Construction Company, and ask him all about his trade. What skill sets are great for this trade? The ability to learn and retain that knowledge. A self motivated work ethic and punctuality. Math skills are a big help. What type of person/personality/traits are great for this trade? People that want to take pride in their accomplishments and become the best at what they do. Why is this a great time to get into this trade? Most of the current work force is at or close to retirement age. With supply and demand always in control of the market, young people starting out now and willing to learn have potential for great pay as they grow into their job. What is it like working with other Tradesman on projects? Rewarding and educational. There is something new to learn each day, and much of that will come from other tradesmen. There are plenty of examples of what not to do or how not to behave, but a little discernment as to who to mimic will go a long way toward success. Are you hiring? If so, how does someone apply or get in contact with you? Yes, we are always hiring! If you are interested, you can contact NCC here. How does someone get started in this trade? Apply. If you get hired, show up every day ready to learn and be part of a team striving for excellence! Whether it’s a custom home or a commercial building – we do our work with a singular focus: to bring your vision to life. It is our goal to create unique and functional spaces using quality materials while maintaining a high attention to detail and customer service.